"The American Buff goose is calm and docile. They are good parents, attending well to their goslings. These attributes make the breed well suited for the average home flock. The American Buff makes a medium-large roasting bird. Its colored plumage does not show soil as readily as that of white birds, yet its light colored pin feathers allow it to dress out as cleanly as a white goose." 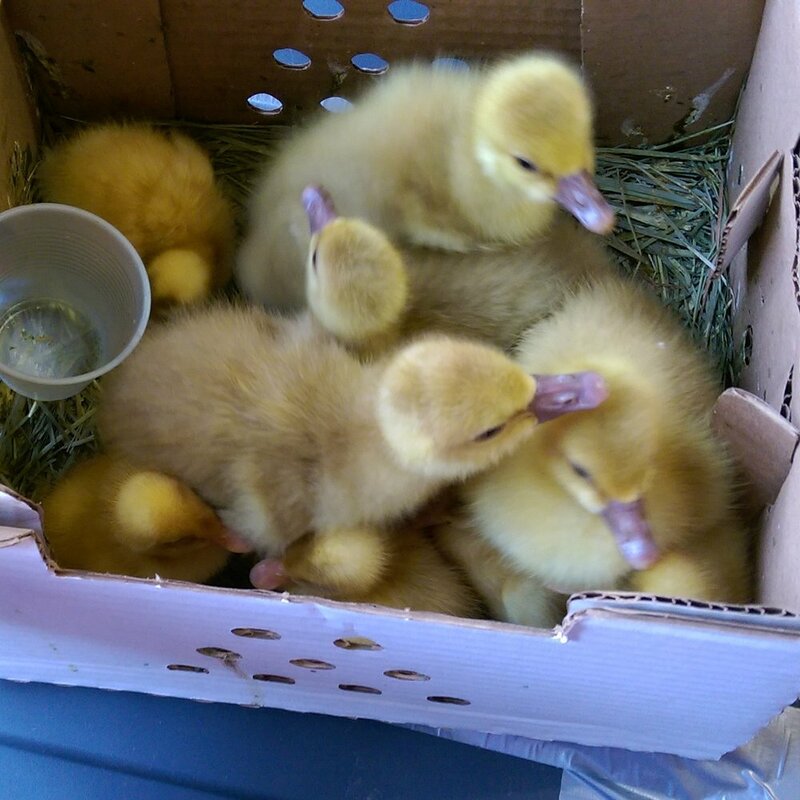 So goslings are ridiculously fluffy and cute! juvenile goslings are adorable in their awkwardness. So, yes. It's possible they are spoiled. They come and knock on the back door for treats when they see us sitting down to the dining room table. Snuggling a snoozing gosling. Yes! She actually did make little squeaky honking sounds when she snored. 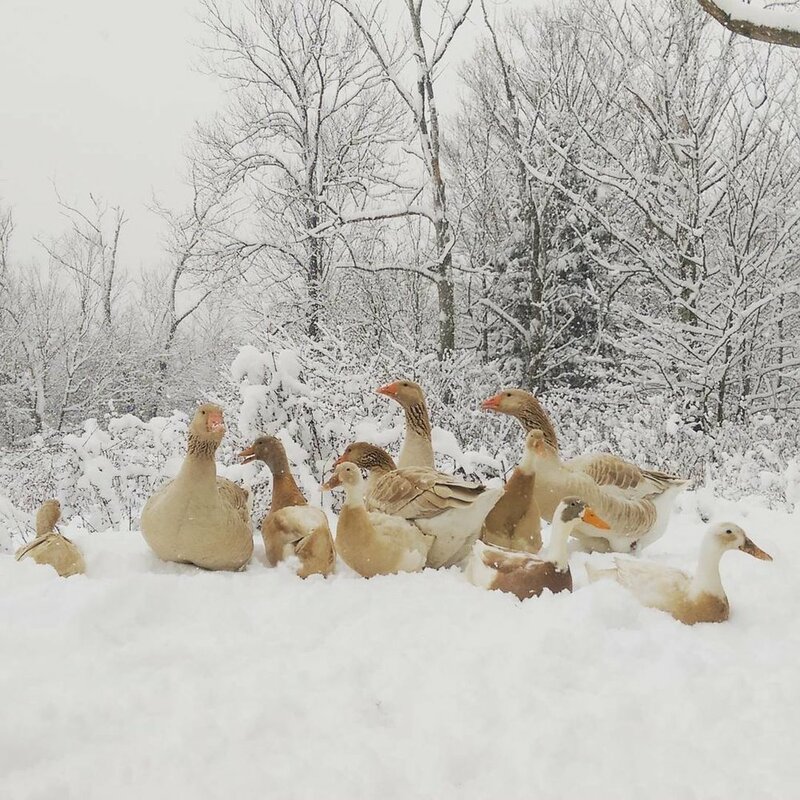 Ducks and geese in the snow. 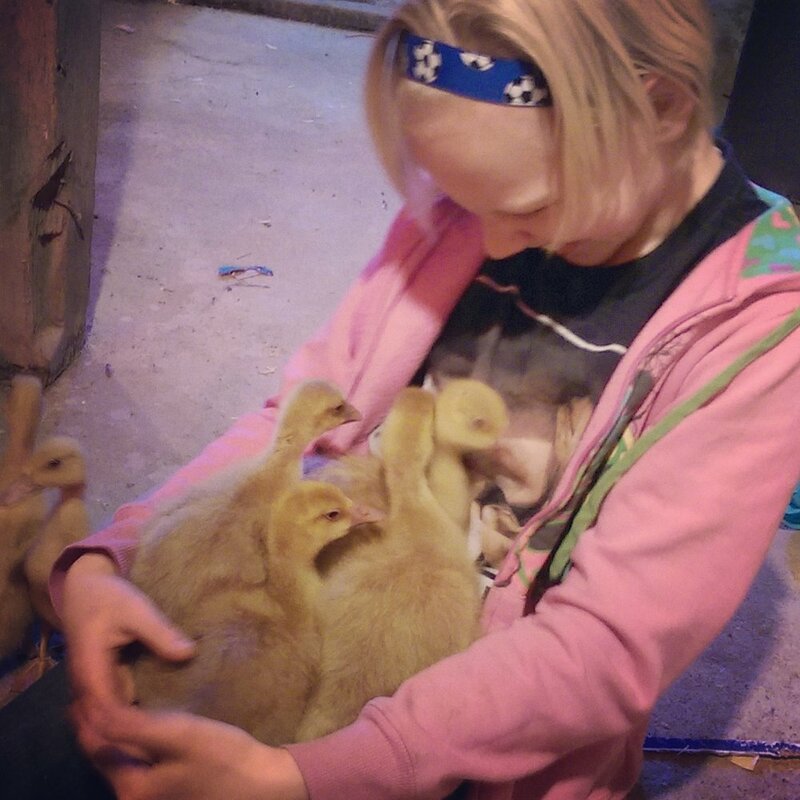 The one and only gosling we got hatched last year. I wanted to eat it for Christmas, but the kids named it "Fluffy." sooo...beef tenderloin it was! We're obviously doing this wrong. This year, I'm naming the gosling "Beef tenderloin". ok. so yes. They are a little spoiled. 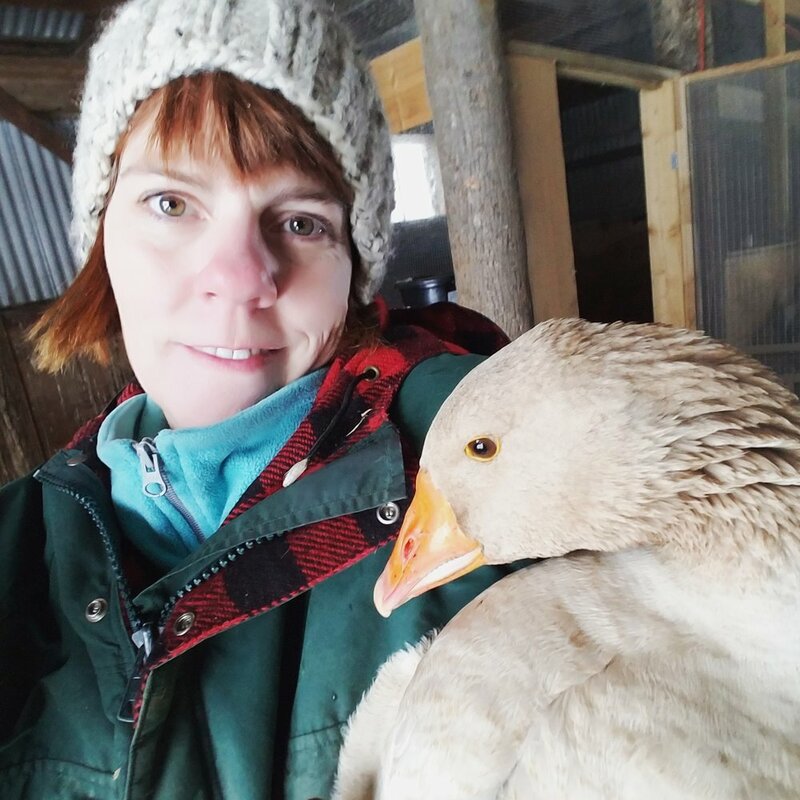 In our defense, this goose lost her mate and she was feeling a little lost, so she would come to the door for snuggles. and treats.